The 11 Storey north eastern architecture style comprises a total of 198 rooms which included 6 types of Suite CEO Suite President Suite Executive Suite Junior Suite Corner Suite and Karnmanee Suite. spacious Deluxe and Superior rooms are also available.Comfortable relax and enjoy entertainment facilities and Hi Speed Internet Cafe in our Moder Chic premier Lounge. Restaurant and Coffee Shop open daily with room servceAmerican Breakfast BuffetInternational and Thai Cuisine are all delicious.Enjoy the flavors of Thai Inter available for you to eat more than 30 items in the comfort of the eye with a blend of natural and already on the edge. It is a great place where you can On Line with WiFi wireless Internet as well. 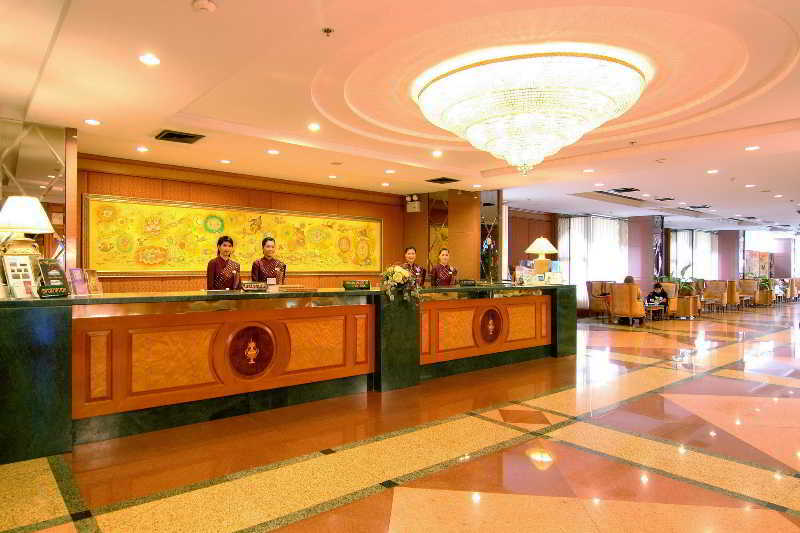 The hotel is located in the heart of downtown Bangkok, just a 5-minute drive from the Phayathai BTS Skytrain Station. The central shopping centres of Bangkok including Siam Paragon, MBK and Central World are all just a 5-minute journey on the BTS Skytrain. Suvarnabhumi International Airport is approximately 30 km away.The city hotel features a total of 92 rooms, all fully air-conditioned. 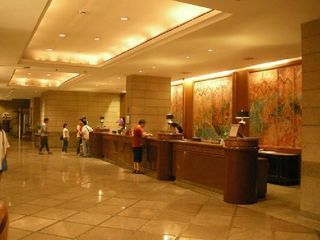 Facilities at the hotel include a lobby with 24-hour reception and check-in service, a hotel safe and lift access. The hotel has 3 types of rooms to choose from, including 58 standard rooms, 26 deluxe rooms and 8 suites. In addition to a shower and a double or king-size bed, rooms are equipped with satellite TV, Internet access and a safe. All rooms feature a minibar, fridge, tea and coffee making facilities, a hairdryer and individually regulated air conditioning.There is a warm breakfast buffet available daily.Guests have the option of taking the airport link from the airport to the Phayathai BTS station. The hotel is a 10-minute walk from there. 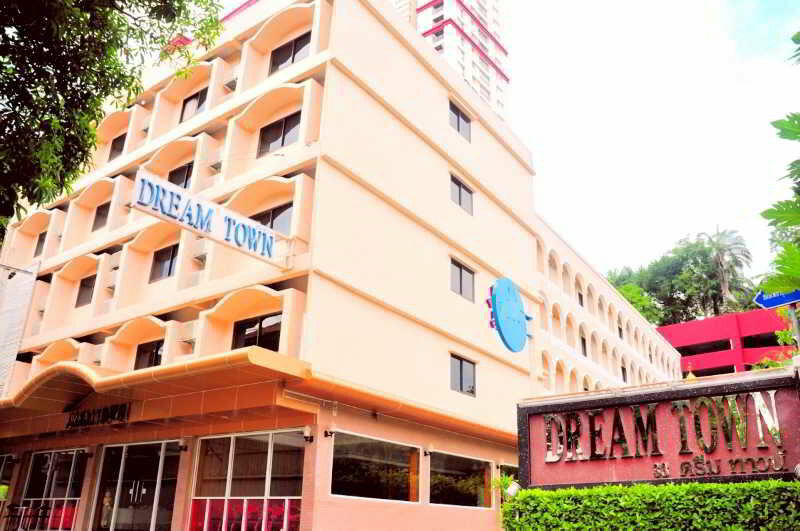 Guests of this hotel have easy access to the city's major business and shopping areas as well as to the expressway. The BTS sky train (Area Station) is within few minutes' drive. The hotel provides convenient access to important places such as Bangkok International Airport, Phaholyothin and Vibhawadee Rangsit. 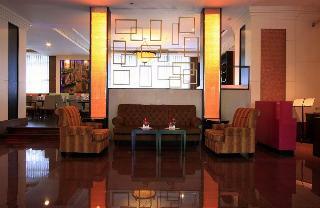 This city hotel comprises Superior and Deluxe rooms, junior and 2-bedroom suites and an Executive floor. All rooms are meticulously designed to place emphasis on comfort as well as adding a touch of luxury. There is parking and open air pool. 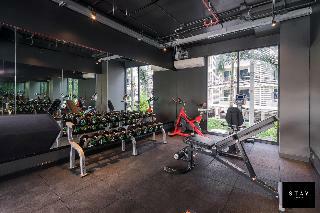 The hotel features the Grand Fitness Centre & Spa, gym with qualified trainers and an aerobics studio. Jacuzzi, sauna and massage rooms are available. 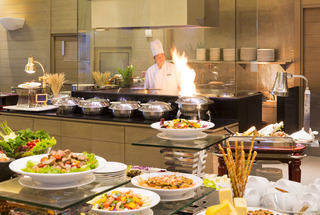 The midday and evening meals are served in buffet form and à la carte menu is available 24-hours a day. 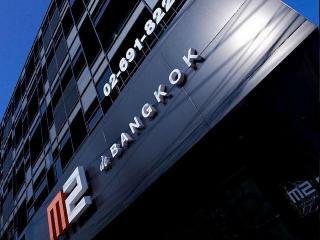 Situated in the heart of Bangkok and within walking distance to the capital's finest shopping malls, eateries, and famous sightseeing spots, is this air-conditioned boutique hotel. With the expressway close by, guests are offered convenient access to all destinations around Bangkok and the area. 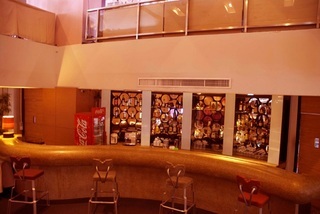 The venue has been decorated in a modern contemporary style with a warm and bright atmosphere, and features all the conveniences travellers are used to expect nowadays. The business guests will have access to a modern conference room and complimentary WiFi internet throughout. All of the cosy units come with ample workspace, separate seating area and open to a private balcony. The en suite rooms are professionally designed to provide ultimate comfort and privacy ensuring a well-rested night's sleep. Guests who need little extra pampering can enjoy a visit to the spa centre. This hotel enjoys close proximity to Don Muang Airport in Bangkok. 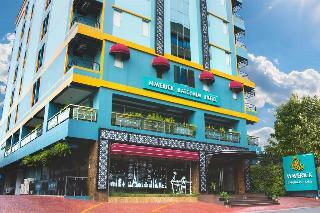 The hotel is situated just a short distance away from the BTS Sky train system and the Suthisarn MRT Station. This charming hotel enjoys a great setting, from which to explore the wealth of attractions that this bustling city has to offer. This wonderful, boutique hotel is sure to impress, tempting visitors into a world of luxury and style. The guest rooms enjoy individual decor and designs, with striking, artistic styles. The rooms feature dark and rich tones, luxurious furnishings and a relaxing ambience. The hotel offers a host of exemplary facilities, meeting the needs of every type of traveller to a high level of excellence. Guests can enjoy delightful dining in the restaurant, where sumptuous dishes are sure to tempt even the most discerning palate. The luxurious Centara Grand at Central Plaza Ladprao Bangkok has an excellent situation adjacent and connected by a covered walkway to the Central Plaza shopping complex, one of the biggest in Bangkok. Guests enjoy a wide array of first-class services and facilities, such as 7,000 m2 of meeting space, a rooftop bar with panoramic views as well as a large outdoor pool surrounded by lush tropical gardens. 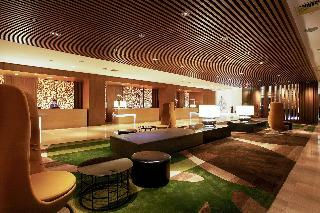 Apart from numerous shops and entertainment venues, Central Plaza also offers the Bangkok Convention Centre Hall. This hotel is a perfect choice both for business and leisure guests. Nestled in the heart of Ratchadaphisek, Maverick Ratchada Hotel is an ideal spot from which to discover Bangkok. From here, guests can enjoy easy access to all that the lively city has to offer. With its convenient location, the hotel offers easy access to the city's must-see destinations.Maverick Ratchada Hotel offers impeccable service and all the essential amenities to invigorate travelers. For the comfort and convenience of guests, the hotel offers free Wi-Fi in all rooms, daily housekeeping, 24-hour front desk, luggage storage, Wi-Fi in public areas.The ambiance of Maverick Ratchada Hotel is reflected in every guestroom. television LCD/plasma screen, clothes rack, complimentary instant coffee, complimentary tea, mirror are just some of the facilities that can be found throughout the property. STAY Hotel BKK, a horizontal pitch-black complexion hotel stands prominently in a neighborhood of Rachadapisek-Bangkok. In 2017 comes STAY, a hotel with unique personality and attitude communicating through its attractive exposure of stylish definite tone, so forget the pantone and come to monotony STAY Hotel. From the warmth welcoming entrance of pine landscape to the marblish decor of our lobby, you will be truly experienced the heartfelt generosity service which Thailand is famed for; to that end, STAY is the hotel pine for. At STAY, you could crave bright light of the big city coz' you'll experience the groove of Bangkok from a satisfying location minutes away from business and entertainment districts, where Suvanabhumi International and Donmuang Airports are an easy access, it takes name from a simplicity of living but only in stylishly angle. Veronica Residence,Maximum 3 minutes walk to Sutthisan MRT stationVeronica ResidenceThe first ever boutique hotel on Rachadapisek Road, Veronica Residence is situated on one of the busiest business districts in Bangkok.Veronica's concept is defined by the individuality of its designs and décor. The architecture is trendy, vibrant and colourful making it a fashion hotel with a difference. Veronica's 3 outlets also reflect this trademark. Each restaurant has its own personality and signature theme.Guests will be able to feel at home and relaxed during the duration of their stay however long.